The National Council of Corvette Clubs (NCCC) sanction our club. Annual functions hosted by the ECCC are car shows, cruise-ins, parades, cruises, and trips to Carlisle, PA. Proceeds from ECCC events supports several local charities. The Eastern Carolina Corvette Club is an association of Corvette owners established to provide people of similar interests a place to gather and to serve the community and the citizens of Eastern North Carolina. Our club promotes the enjoyment of Corvette ownership. “People will forget what you said. People will forget what you did, but People will never forget how you made them feel”. In an effort to design this website to better present our club in an informative manner, and to provide a website that is easy and enjoyable to visit, please feel free to comment below. Click "Sign Guestbook" below to enter comment. Please do not comment on any non-car related subjects. Any commercial or soliciting comments will be removed. 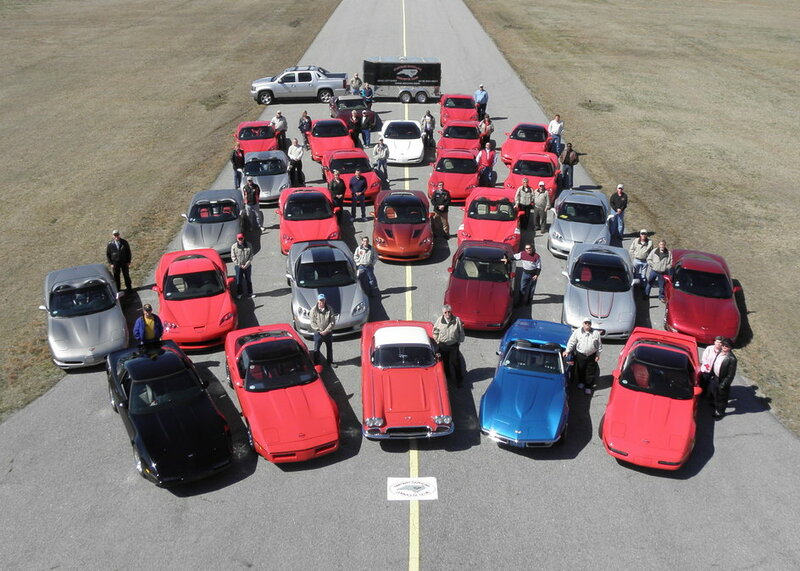 Welcome to the Eastern Carolina Corvette Club's website! If you own a Corvette and would like to join our club fill out our membership application and mail it to Buster. We always welcome new members. This section is where non-ECCC events are posted. If your club, organization, etc. is having a car show or other auto related event, and it is within 100 miles +/-, feel free to email information so it may be posted. On April 20, 2019, our club will have a club display at The Proud to be an American Day in Walstonburg, NC. The Classifieds page now has listings for ECCC members Corvettes and Corvettes related parts that are for sale. I will post only ECCC members Corvettes on this page. So, if you have a Corvette or parts for Sale, let me know. You may also enter a post yourself on the ECCC Classifieds page. Webmaster ecccvettes@gmail.com . The ECCC welcomes Dwayne Pierce of Wilson, NC, the owner of a 2017 Z06. The ECCC welcomes Ben Mercer of Wilson, NC, the owner of a 2003 coupe. The ECCC welcomes back Rick Proctor with his recently purchased 2005 Lemons Blue convertible. The ECCC welcomes Rafe & Debra Roundtree of Tarboro, NC, the owner of a 2011 silver Grand Sport. The ECCC welsomes Len & Dot Wester of Louisburg, NC, the owner of 2015 Z06, 1970 454 and 1994. It is with great sadness that our club has lost one of its long time members. Gary Issette passed away on March 19th. He will be missed and appreciated for his friendship and all that he did to support our club.